This was a MUST HAVE! Enormous pressure, which included begging, pouting and nagging, was placed upon parents to acquire Welch’s Grape Jelly. 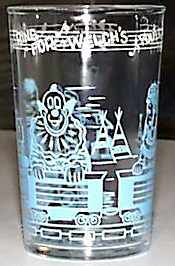 Just so you could have the Howdy Doody glass.